John McNesby, president of the Philadelphia FOP, told CBS that Hillary Clinton "blew the police off." By Claire Sasko·	 9/19/2016, 3:34 p.m.
Members of Philadelphia’s Fraternal Order of Police union joined more than 300,000 police officers across the country this weekend when the national FOP announced its endorsement of Republican presidential nominee Donald Trump. Trump received a two-thirds majority of the organization’s national board to secure the endorsement. 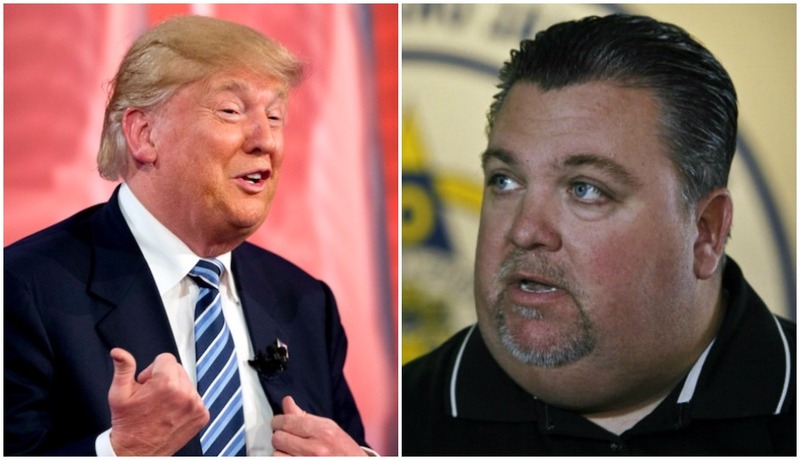 John McNesby, the president of the Philadelphia Fraternal Order of Police Lodge #5, told CBS that the Philadelphia FOP will follow in the organization’s footsteps in endorsing Trump. McNesby and the Philly FOP criticized Democratic presidential nominee Hillary Clinton for her initial speaker lineup at the Democratic National Convention in Philly this July, claiming she had excluded “the widows, and other family members, of Police Officers killed in the line of duty who were victims of explicit, and not implied, racism, and ‘being on duty in blue,'” though the mother of a slain police officer was added to the lineup. McNesby recently told CBS that Clinton “blew the police off” and has shown little interest in gaining the approval of the union. Since the 80s Trump has advocated giving police free reign to use violence w/o oversight. If #Philly #FOP endorses him it reflects on them. the FOP endorsed a candidate openly supported by white supremacist. Think about when ur driving in N Philly! Grew up under the Rizzo regime in Philly, which is one of many reasons why FOP endorsement doesn't surprise me. The Fraternal Order of Police just endorsed Trump? They must've given him that worthless blue card that every white kid in the burbs has.